I approached this work with the intent of creating forms that have a monumental presence. Combining wheel-throwing techniques with hand manipulation, I pushed and pulled the clay body to its limits. 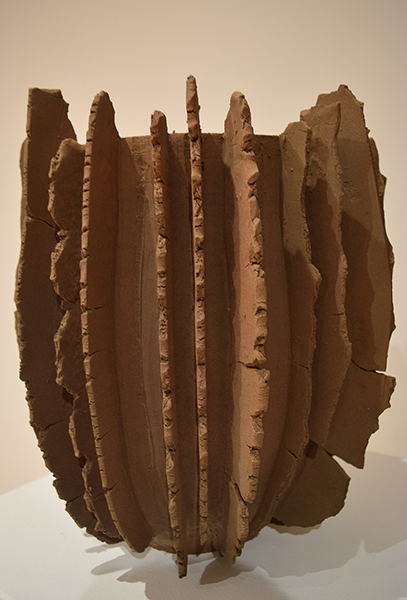 I began each piece by throwing large vessel forms on the wheel. I would then beat and sculpt the clay to emphasize the bulbous shape of the vessel’s body. The narrow bases that balance them enhance their swollen forms. And their fragility is accentuated by their delicate thinness and rough edged rim that shows it’s makers hand. Each vessels’ glaze is dictated by the forms themselves and often shows sheen, textures, and drips that cascade down the body.